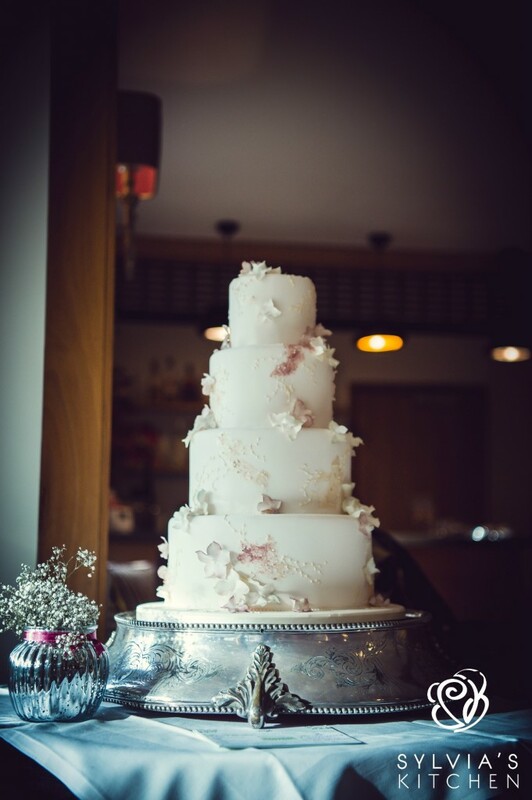 Four tiered wedding cake at The English Wine Centre, Alfriston, East Sussex. 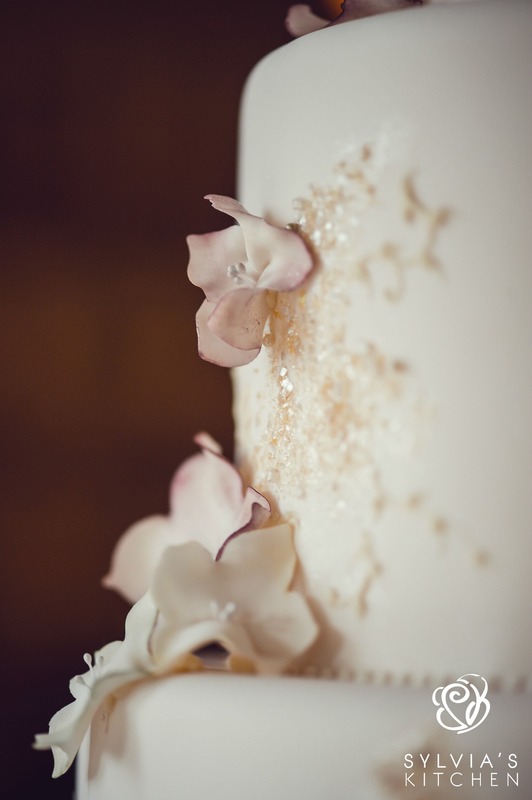 All tiers iced in pale ivory. Finished with delicate sugar blooms with pale green and burgundy dusting, sparkling embellishments with hand piped leaf trails and scrolls. Piped beading to the base of each tier. Base tier of fresh carrot cake with orange oil and orange zest whipped buttercream, tier one of Belgian couverture chocolate sponge laced with Kirsch and filled with Belgian couverture chocolate whipped ganache with Cherry conserve. Tier two of Madagascan vanilla sponge with Madagascan vanilla bean paste whipped buttercream and Raspberry conserve and top tier of gluten free Red Velvet sponge with whipped Madagascan vanilla bean paste buttercream. Cake serves 130 finger portions. Images supplied by Teri V Photography.